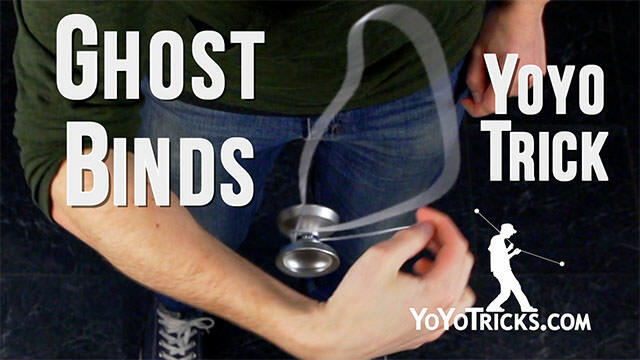 Learn how to do three Ghost Binds. So first we have the regular Ghost Bind, also called the “Meta Bind.” Then we have the outside Ghost Bind, and finally the Inside Ghost Bind. If you have not already, I would highly recommend that you watch our Bind Theory video, because understanding how binds work makes them much easier to perform. 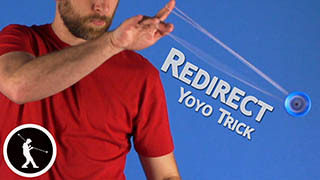 Regular Ghost Bind starts with a Breakaway. 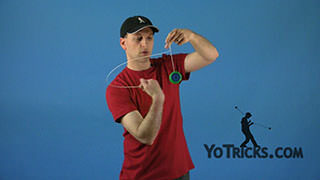 If you do a front style throw, this trick will not work. 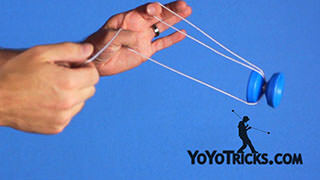 First you want to pull the yoyo up about to your throwhand level. 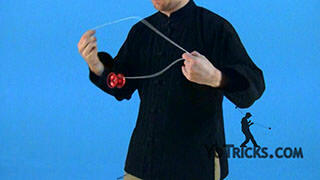 Then take your throwhand and bring it to your opposite hand side of the yoyo. 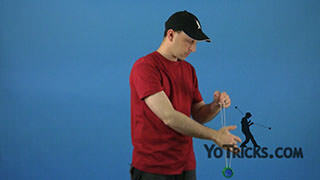 You really want to make sure that you get your hand as close to the yoyo as possible. If you are all the way out here, it is not going to work too well. 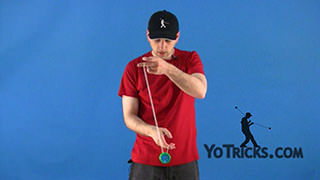 After you have pulled the yoyo up, you are going to take your throwhand and make as small of a circle as you can around the back half of the yoyo. 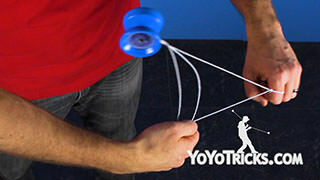 That is going to pul the yoyo into an undermount so that the yoyo falls down into the string and then it will come right back to your hand. 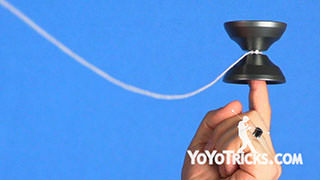 Let me show you what that looks like without the yoyo spinning. 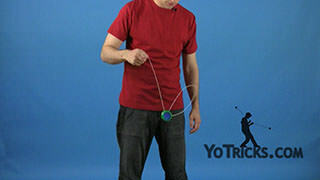 So I pull the yoyo up, bring my throwhand to my opposite hand side, and then I make as small of a circle as possible around the yoyo, just like this. 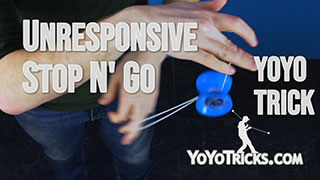 The yoyo falls down and then it is going to come right back to my hand. 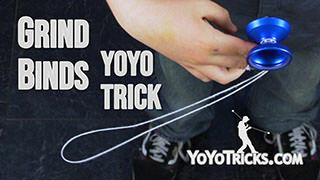 A common issue that I see a lot of people learning this trick have, is that something like this happens, where the string just kind of whips around. In that case, you really want to make your circle as small as possible. 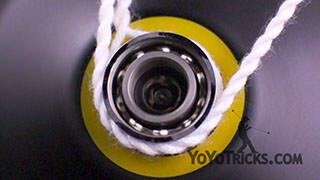 That makes it much easier for the yoyo to actually land into the undermount, fall down and then come back to your hand. 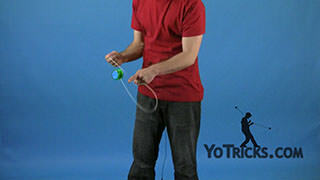 Also if you are finding that the string does not go into the yoyo but rather just kind of flails around it, it can be really beneficial to pinch the string on your throwhand between your thumb and your pointer finger. 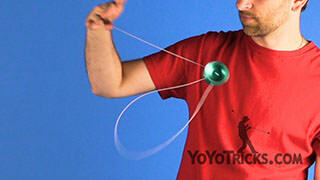 Then you can imagine you have, like, a wand in your hand and you want to draw a circle around the yoyo with the wand. 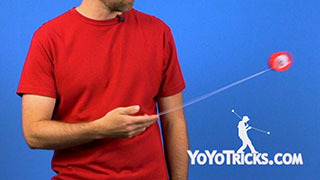 Using that method can really help you get more fine control over the string and should make the trick a lot easier to hit. 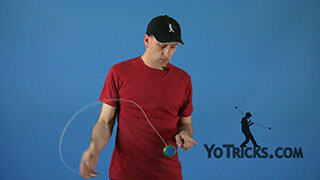 So that is the basic Ghost Bind, and there is also two different ways that you can add variation to it, make it look a little bit more flashy. So the first way is the Outside Ghost Bind. That is this one. 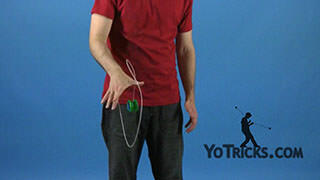 To do that, as the yoyo is falling down into the undermount and right before it comes back up, you want to take your throwhand, tuck your elbow in against your body, and then take your throwhand and turn it toward yourself, then toward your throwhand side. 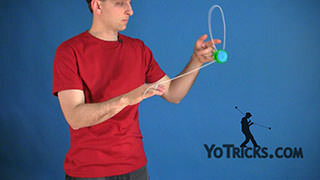 So all in one motion, I am going to pull the yoyo up, tuck my elbow and turn my throwhand out, and then I can catch the yoyo in a sweet pose. There is also the Inside Ghost Bind. 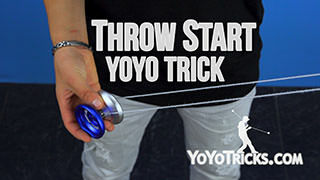 To do that, I am going to start the trick just like in the regular ghost bind, but as I am making the circle motion around the yoyo, I am actually going to turn my hand over so that I can pull my throwhand up around the front of the yoyo. 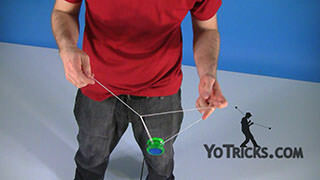 Then the yoyo lands between my throwhand and my body, just like this. 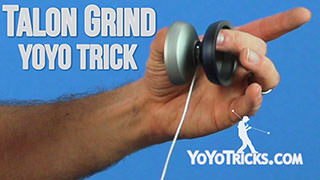 The Inside Ghost Bind can be the trickiest of the three to learn, but, it lets you show off your muscles, and that is an opportunity that you never want to miss. 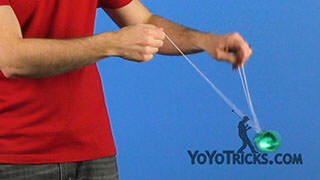 And those were three Ghost Bind variations.